Orion Group of Companies is a leading Russian service provider for TV channels, TV operators and Pay TV subscribers. Driven by 3 spacecrafts – Intelsat 15, Horizons 2 (Intelsat Ltd.) and Express АМ5 – signal could be immediately delivered to anywhere in Russia and CIS and distributed to cable networks operators. Our cooperation with Orion started several years ago when Viasat chose Orion as a satellite provider for 11 channels unlinking. Thanks to the biggest coverage area and stable satellite signal we managed to widen our broadcasting and, therefore, attract more customers. We wanted to be sure in perfect quality of service when we were looking for satellite provider that could assure the best technical solution. Moreover, after we committed Orion to provide us with other technical services we cut our costs. We are grateful for Orion team’s continuing readiness in providing best service for its clients! We pay key attention to our channels content quality and brands reputation. We are scrupulous about partners of choice, so I greatly appreciate our cooperation with Orion Group of Companies that string along with us providing the best services: stable satellite signal, the biggest coverage area and 24x7 monitoring. Orion Group of Companies – is one of the leading and the most dynamically developing DTH-platforms in Russia. The Company has become a strategic partner for launching seven television channels of SPI holding in the Russian market. The area of the Company’s responsibility includes licensing, uplink to the satellite, compliance with Russian law, other technical services, including graphical overlay, distribution of the channels in the packages of «Telekarta» DTH platform and to cable operators. We are pleased with our established cooperation with such experienced partner and are happy to present high quality content for Russian viewers’ entertainment. «Orion» a long-term partner of Viacom International Media Network in Russia. 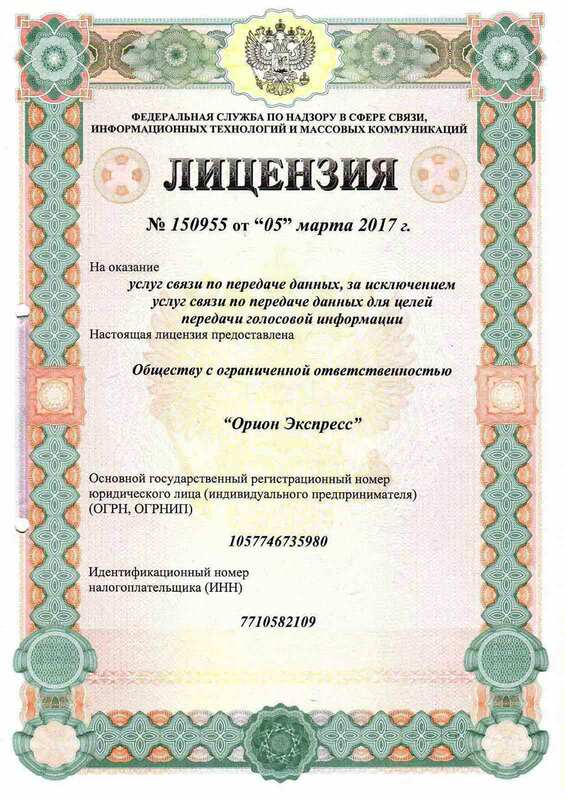 We highly appreciate the standards of the company and point her significant contribution to the development of telecommunication business in Russia. «Orion» has been successfully demonstrating the ability to quickly respond to market changes, prompt resolving problems and being a reliable business partner. Orion Group of Companies has become a prize winner of the annual award «Consumer Rights and Quality of Service» in nomination of «Retail Services»/ «Best Pay TV». Jury has highly appreciated the best quality provided by “Telekarta” to the millions of subscribers across the country. Orion has become a prize winner of the annual award «Regional development. Best practices for Russia» in nomination of «Internet. Communication. Telecommunication». DTH project driven under Telekarta brand was recognized as an important part of distant regions’ infrastructure. Orion Group of Companies was awarded in «Best call center» nomination. 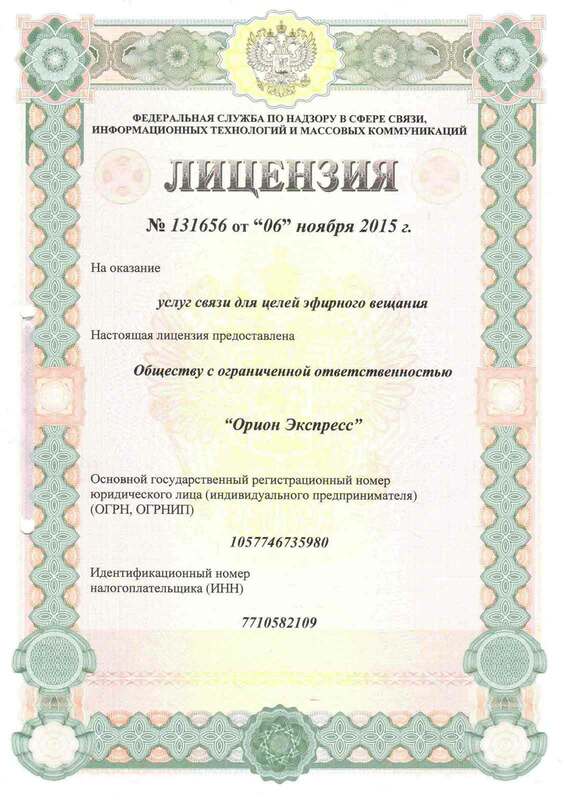 «Orion Connect» call center was opened in 2016 in Penza and received high marks by the experts. Orion has won professional National Award for multichannel digital television Big Didgit Award in nomination of «The best solution for TV channels». 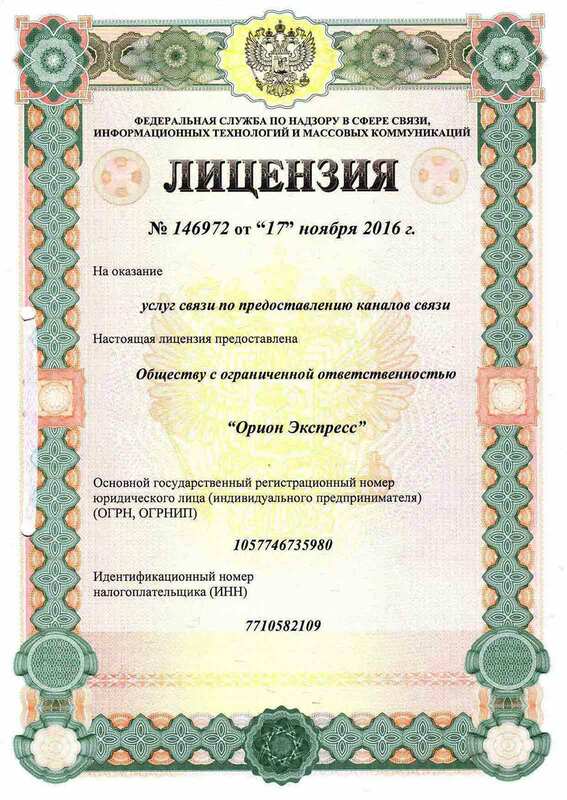 Telekarta was awarded by «Trademark #1 in Russia» award in nomination of «Satellite television». 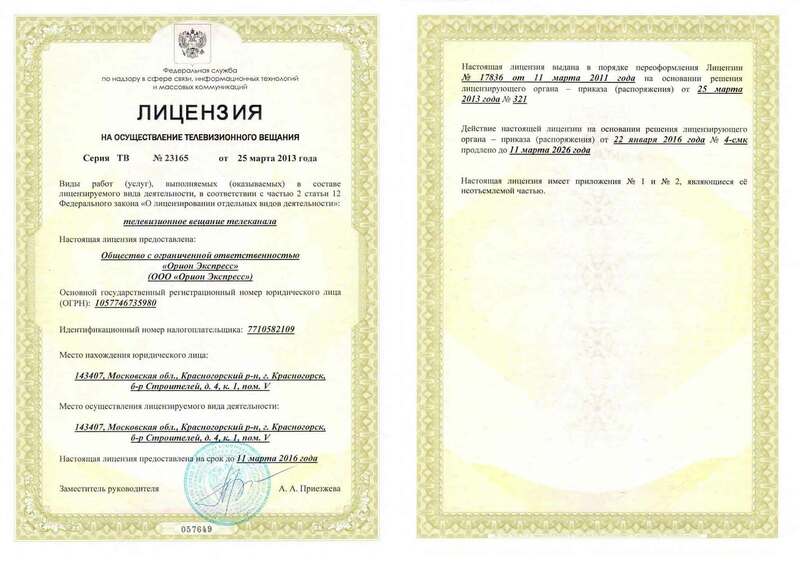 Annual award that significantly represents consumers’ trust level for brand and brand valuation exists since 1998 in Russia. Orion has won «Russian Innovation Time» in nomination of «Technological innovation of the year». Satellite media platform with the widest coverage area and greatest number of broadcasted TV channels was awarded an honor in Dec, 2016.